On stages from Scotland’s Edinburgh International Festival to America’s Kennedy Center, Bonnie Rideout’s unique style of Scottish fiddling has charmed audiences across the globe. Bonnie has been featured on the BBC, CBS, NPR’s Performance Today, Morning Edition and The Thistle and Shamrock. In addition to authoring seven music books for Mel Bay Publishing Company, Bonnie has recorded over fifteen solo albums and appeared as a guest musician on dozens of CDs with Sony, BMG, Time Life, Ryco Disc, Dorian, Rounder Records, and Maggie’s Music. 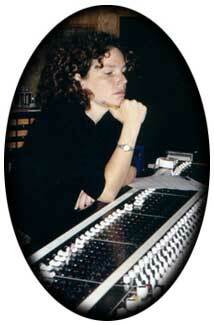 In 2003, she incorporated her own record label, Tulloch Music, Ltd. Her A Scottish Christmas CD became a New York Times “Top Ten Holiday Best Seller”. Its success prompted a touring show that has sold out halls across North America for over a decade. Over a million viewers have attended her North American concerts, which in addition to her holiday shows include RANT, Caledonia, and the Bonnie Rideout Scottish Trio. Her popular recording, Gi’Me Elbow Room received the National Parent’s Choice Gold Award. 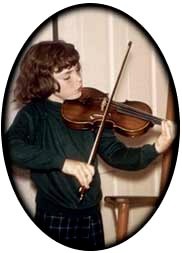 In 2007, the Mel Bay Publishing Company credited Bonnie as one of America’s top ten most influential traditional fiddlers of the 20th century. Three of her recordings received GRAMMY nominations and she has been active with the National Academy of Recording Arts and Sciences (NARAS), having served on the Board of Governors for the Washington D.C. branch. Ms. Rideout is the only American to hold the honor of representing Scottish fiddle music at the prestigious Edinburgh International Festival. She is the first woman to hold the national Scottish fiddle title and the youngest to have garnered the U.S. Championship, winning it for three consecutive years. Bonnie discontinued competing to become an adjudicator and professional recording artist and has maintained a consistently high profile in the Celtic music scene for almost thirty years. Bonnie has always been an active volunteer. In 1998, she and her husband founded a non-profit organization called the CELTINO Foundation. Since that time, CELTINO has built nineteen primary schools in Honduras, Central America, and hosted numerous medical and dental brigades in the rural mountainous communities in the Copan region. Bonnie has three grown children and presently resides with her husband in both Virginia and Maine.